Despite our prejudice towards bigness, church growth does not mean that these healthy, missional small churches will become big churches. Some will. Most won’t. In most of the world, church growth means the planting and nurturing of small churches, not the building of bigger ones. Given these facts, it’s a mystery why we talk so much about building bigger churches, but we have so little teaching, support and resources dedicated to doing small church well. 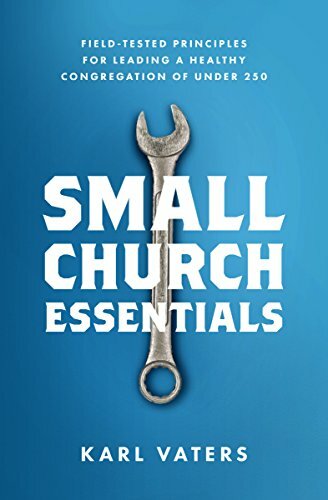 As I mention in The Grasshopper Myth, the only reason I wrote a book to support small churches is because I couldn’t find the help I needed anywhere else. If healthy small churches are exploding all over the world, leading some of the greatest revivals in history – which they are – why isn’t every church leader in the world celebrating, supporting and promoting more healthy small churches? Is it because of a western (mostly American) bias for bigness? I think so. Bigger churches may be the way the American church is growing. (Even that’s debatable, though). But they’re not the primary cause for the growth of the church globally. That’s happening almost exclusively due to the multiplication – in some places, the explosion – of small churches. Small churches may be Christianity’s most overlooked, underutilized asset. If you’re a small church pastor, take heart. You’re not a failure. Quite the opposite. You and you church are an indispensable asset in the eternally valuable task of reaching the world for Jesus. And if you’re a denominational official or church leader/influencer, please take the premise of this post seriously. Small churches may be Christianity’s most overlooked, underutilized asset. And they aren’t going away, they’re multiplying. If small churches have been reaching the world while we’ve been underusing, under-resourcing and often ignoring them, imagine what they could do with our support.